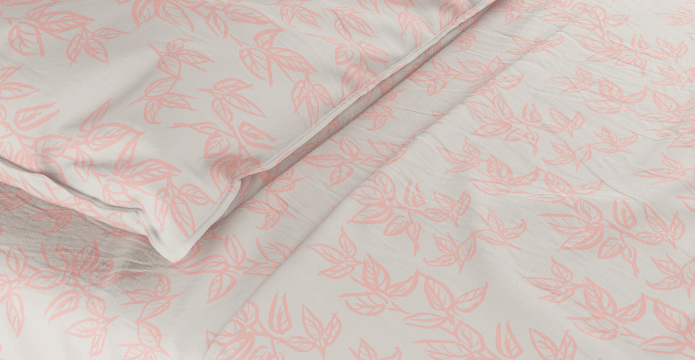 Inspired by nature, the Soft Leaves Standard Sheet Set brings a feeling of calm to the bedroom. This print was painted with gentle brushstrokes and swift lines. 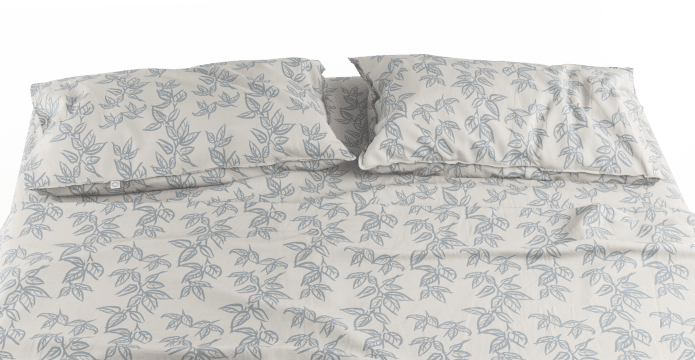 Made to match the Soft Leaves Duvet Cover Set. 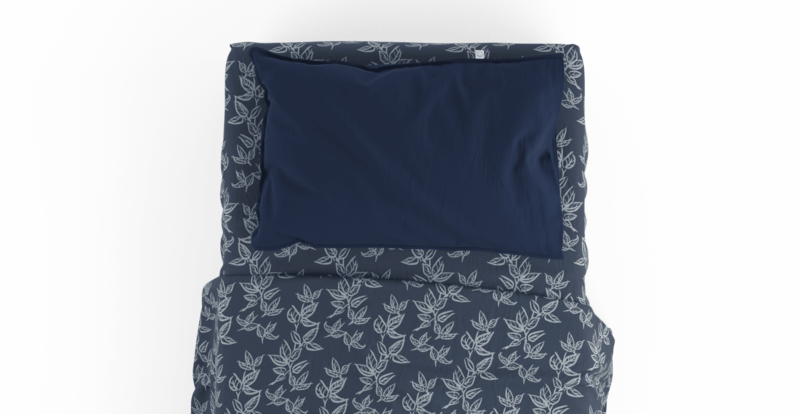 This set includes a Flat Sheet, a Fitted Sheet and two Standard Pillow Cases (one for Single Set). 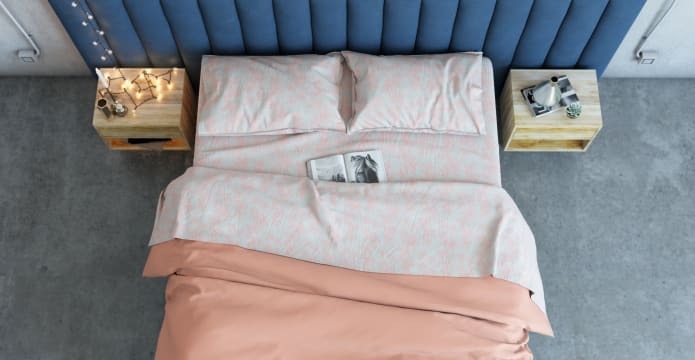 When it comes to bed linen, 100% cotton is a top choice. 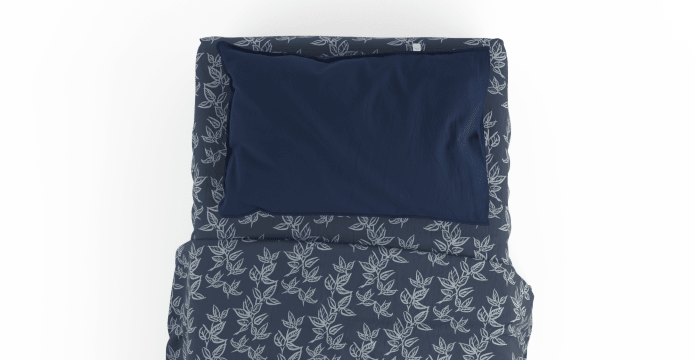 This natural fibre is anti-static, and regulates body temperature as you sleep. Plus, it feels great too. The thread count of the Soft Leaves Sheets has been optimised at 400. Silky soft, but still thick and durable. Made using premium cotton fibres, this set will grow softer with each wash. Choose from shades of blue and beige. Or a vibrant splash of apricot pink. The Soft Leaves comes in a range of options to choose from. With a size for every bed. See more from our Bedding Collection. So lovely to sleep on and shipping and communication was perfect.